Termites are ecologically important in nature – they break down wood to be recycled and used in the surrounding ecosystem. In your home, however, termites can be an expensive nightmare. Save yourself the hassle and money by familiarizing yourself to this serious threat. In this article, the word “termite” will refer to the eastern subterranean termite, which is the species of termite that New Englanders need to worry about most. 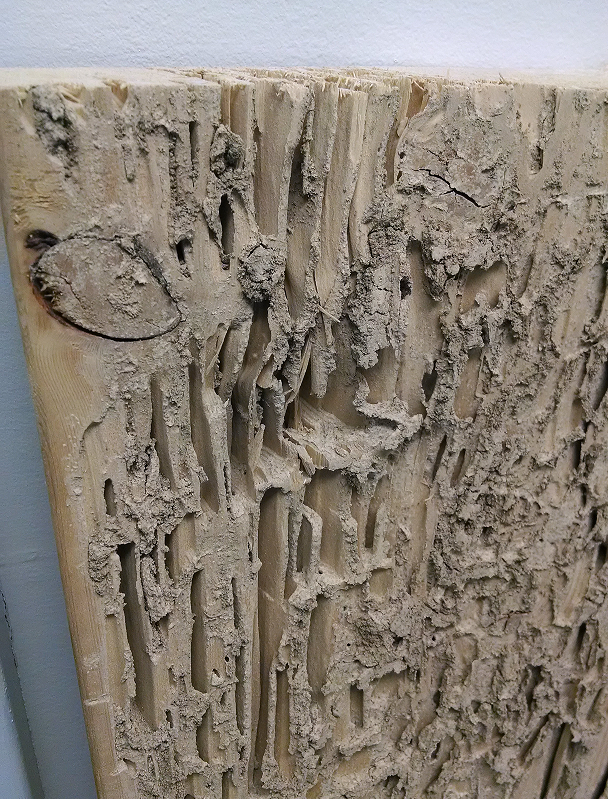 Termites cause more structural damage in the U.S. than carpenter ants and other wood destroying pests combined. The good news is that you don’t need to be a termite expert to prevent them from invading your home. All you need is a basic understanding of their biology and behavior. 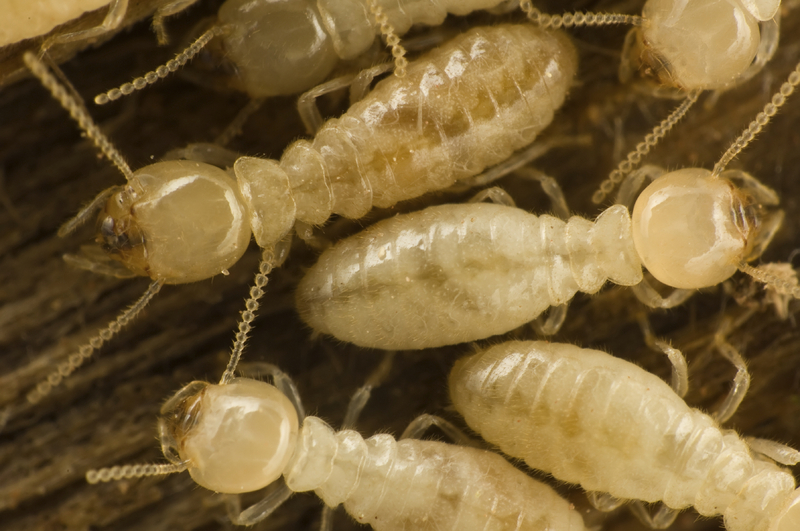 Termite workers have soft, white bodies that will dry out if they’re exposed to air, so they tend to stay in their nest or underground. They will venture out of their nest on warm, humid days, such as those we see in July. 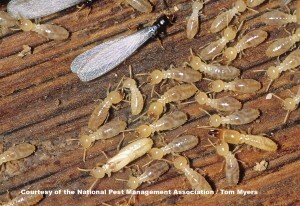 If you see these white-bodied termites, there is, beyond a doubt, a termite nest very close by. Because termites demand a lot of moisture in their nests, they construct mud tubes from the ground to their nest, if the nest is in the wood of your home. These mud tubes act like ducts that transfer moisture into the nest from the ground. This often leads to mold problems in the structural wood of the house. 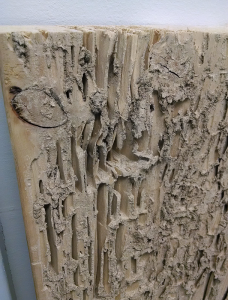 In fact, termites encourage some mold growth because it weakens the wood and makes it easier to chew. Spotting these mud tubes is a sure sign of a termite nest, but a more obvious sign is the presence of winged termites, or swarmers. Swarmers are the only members of a colony that can live outside of the nest. They have dark bodies and long wings, and they often overwhelm homeowners early in the spring. 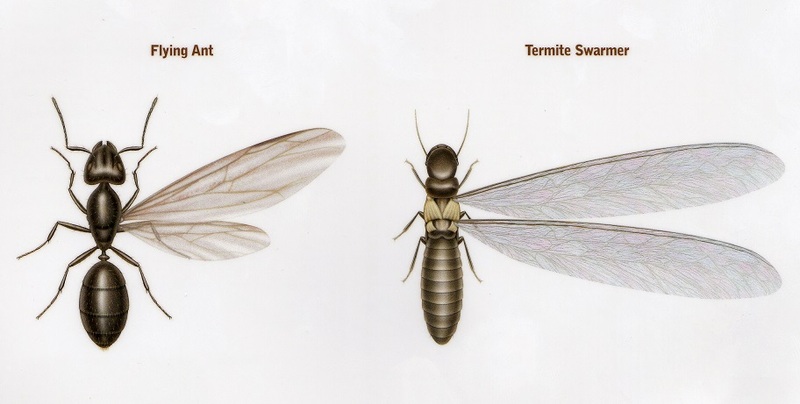 To the untrained eye, termite swarmers look a lot like winged carpenter ants. The easiest way to tell them apart is to look at the body. A termite swarmer’s body is somewhat uniform in width from head to back end. Winged carpenter ants have three distinct regions – the head, the thorax, and the abdomen. The picture below shows the differences between these two wood-destroying pests. Notice that the ant antennae are kinked and the termite wings are the same length. These features are what pros look for when distinguishing the two. Prevention is the cheapest, most reliable method to keep your home safe and sound. The best measure you can take is to allow adequate air flow around the perimeter of your home: Trim back vegetation and store firewood and other objects away from the house; keep a close eye on where the wood of your home contacts the ground (if possible, keep structural wood away from the ground); replace old and rotted wood with new, fresh wood; and make sure your home’s gutters are clear and lead rainwater away from the house. The most effective treatment for termites involves a professional placing bait stations around the perimeter of your home. Termite workers constantly forage for food and leave behind a scent trail as they do. When a good source of food is found, that trail lets the other workers know where to find it. The bait placed inside these little stations is very tasty to termites, and studies have shown that termites prefer these baits over wood. Some other great features about termite bait stations are that they’re fairly unnoticeable, they lock so children and pets can’t get inside them, and their installation is far less invasive and less expensive than traditional termite treatments. If you suspect a termite nest, call a professional immediately. The longer you wait, the more damage that’s being done. A recurring termite service is ideal in that it will keep your investment safe from termite damage, and with the assistance of a knowledgeable pest professional, you can make sure your home stays in one piece.